This figure is just a repaint of the Wave 5 Crimson Guard, though it makes little sense to continue to call him “Crimson” when he is predominantly yellow and grey. 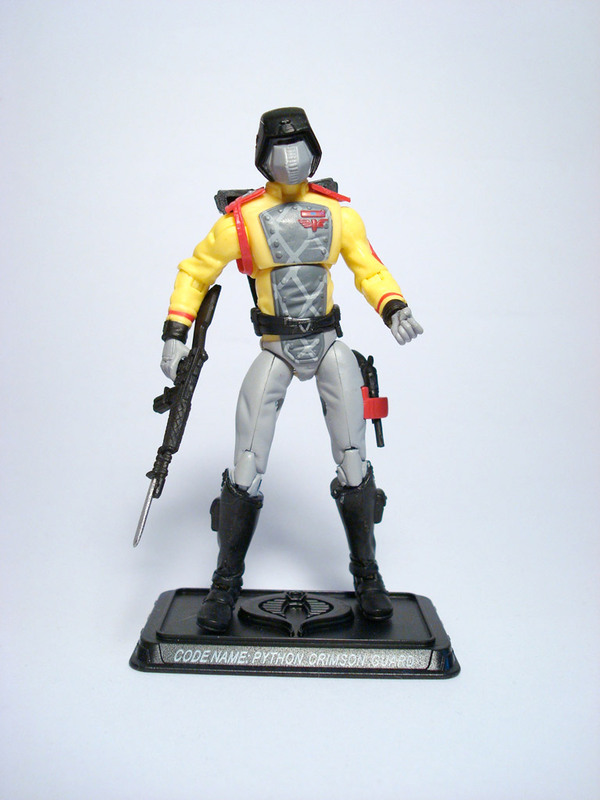 So while we await the release of more Python Patrol members (Python Copperhead is on the way), this figure on its own, while still an excellent mold, is somewhat ho-hum. But Wave 12 was never meant to blow us away with anything new and was only meant to be repaints and repacks like Waves 4 and 8.